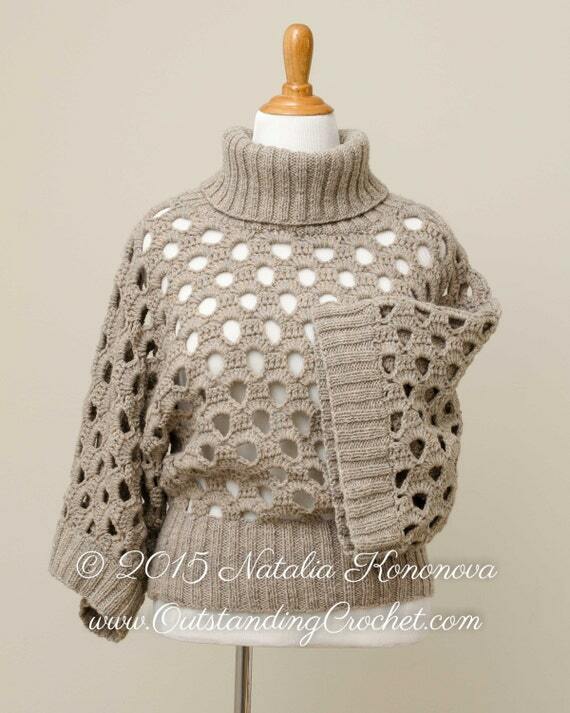 Outstanding Crochet: Turtle Neck Sweater Pattern is available again at Etsy shop. Turtle Neck Sweater Pattern is available again at Etsy shop. I've a got a message from somebody today. That person could't get my pattern from Etsy store; she was trying for some time. When you make a listing on Etsy, you put a number of copies available and choose to renew automatically or manually. Sometimes I miss one or another! Pattern would sell one time and then it wouldn't be available because I had to renew it manually or it was just one in the shop! And it's available at Etsy store again. Wow, what an adorable pattern! Love it!